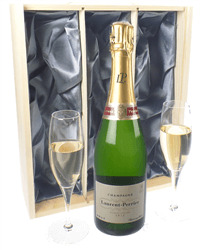 Champagne and flute glasses make for a perfect gift to celebrate pretty much every occasion. 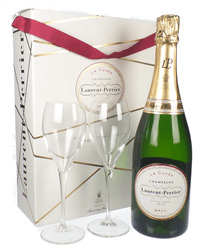 Our selection of Laurent Perrier Champagne gift sets with flute glasses includes the famous LP Rose and the La Cuvee Brut Champagnes. 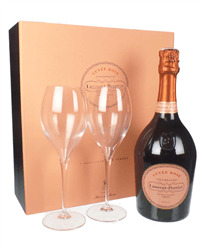 We stock sets with a choice of branded or plain flutes and check out some excellent limited edition sets too. Simply order online or by phone and we will deliver your gift, beautifully presented with your personal gift message.